These easy vanilla scones are buttery, moist, and perfectly balanced with vanilla flavors. Topped with a sweet and sticky vanilla bean glaze, these make the perfect dessert companion for hot tea. The best scones I’ve ever had! Today, I am featuring these Vanilla Scones that are mighty tasty, and surprisingly easy to make. Many people forget how tasty scones are because they are not as popular of a dessert as compared to cookies, or cake. Sometimes, people even are under the misconception that they are doughy, bland, or dry. 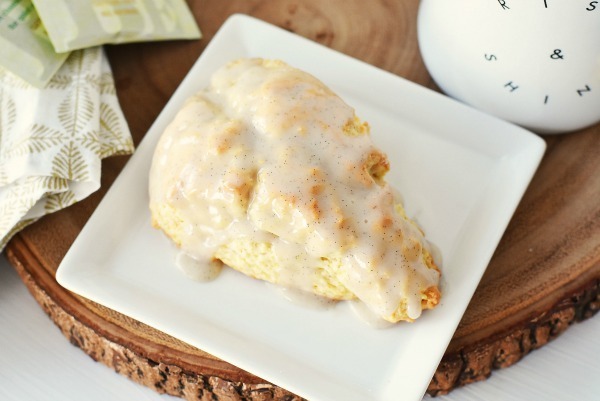 With this Vanilla Bean Scones recipe, I hope to change that! This scone recipe is made similar to a biscuit with bits of butter baked throughout the dough. It creates a fluffy, moist and buttery scone that’s anything but dry or bland! I used our KitchenAid stand mixer with the paddle attachment to mix the dough. It’s faster than mixing by hand. However, if you don’t own a stand mixer, you can combine all the ingredients with a mixing soon and kneed by hand. I used a high quality vanilla bean paste in this recipe. You could get away with vanilla extract in the dough, but the paste takes the glaze to a whole new level of flavor! Therefore, I recommend Nielsen Massey Pure Vanilla Bean Paste. It’s the best vanilla bean paste available and worth the investment. 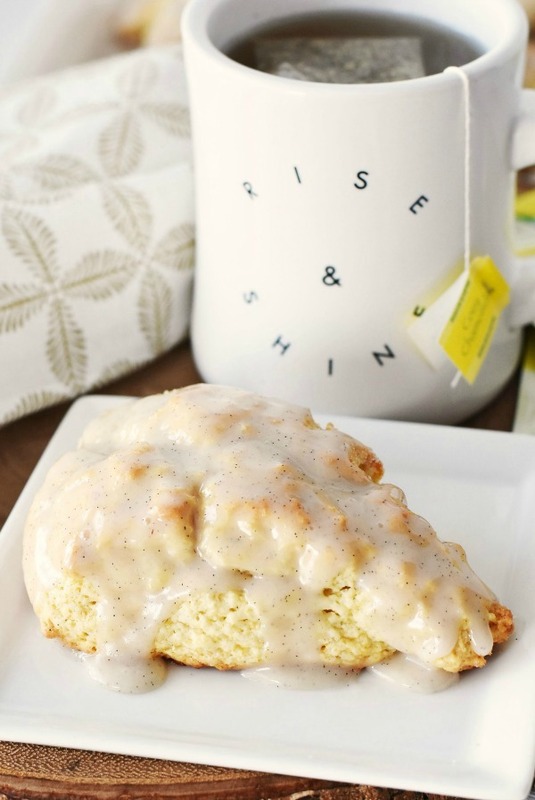 Easy Scone Recipe (With Vanilla Bean Glaze)! 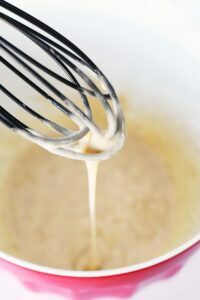 Using the paddle attachment In a stand mixer, add the flour, salt, baking powder, and sugar to the mixing bowl. Turn it on to low. 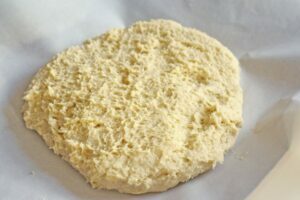 Add the cubed butter, and mix until the dough forms tiny balls. Pour the glaze over the warm scones, and enjoy! These scones were so moist, so tasty, and perfect with our hot tea. Don’t forget the icing! The vanilla bean glaze is also the perfect touch which provides just enough sweetness. 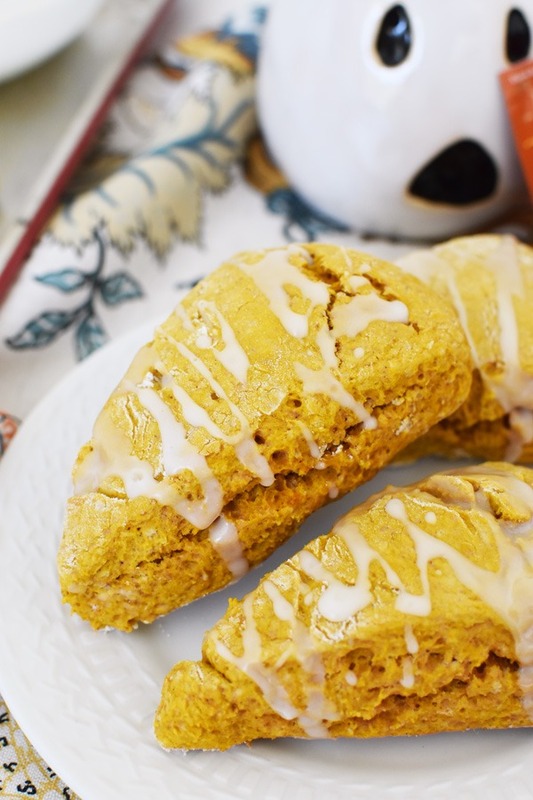 If you like these Vanilla Bean Scones, you might like these Pumpkin Spice Scones too! Thank you Stuck on Sweet for the recipe inspiration! Vanilla bean has quickly become one of my favorite flavors of anything. I would love these scones I am sure. Bring on the vanilla bean! in the instructions, you never mention the butter but 12 tablespoons is listed in the ingredients? Hi, so sorry, I fixed the instructions. That looks absolutely delicious! I love scones and vanilla Bean would be very very top of my list. I will have to make these. My kids play XBox with kids from the UK so they had to try scones and they love them. This recipe sounds fantastic. OH these look DELICIOUS! I have never made scones before! I have been drinking tea a lot lately! I can’t wait to try this recipe. I love a tasty scone. I’m going to see if I can find Bigelow tea here. Mmm, this looks heavenly. I could go for this right now. I absolutely love scones! These sounds like they would be absolutely delicious. I am a tea lover and am always looking for a sweet treat to pair with a yummy cup of tea. 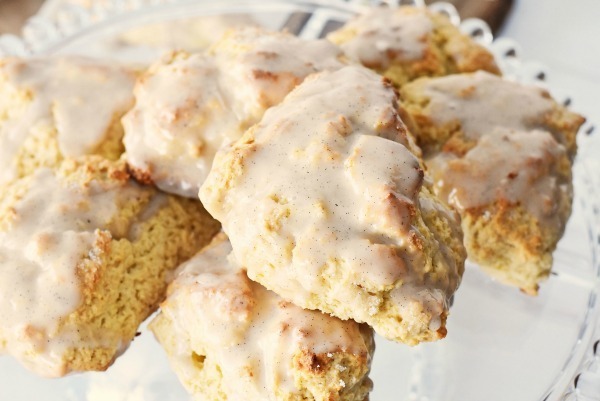 Can’t wait to try your recipe for vanilla bean scones! 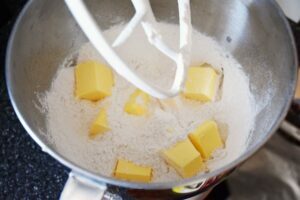 Your recipe skips adding the 12 T butter. These look absolutely delicious! At what point is the cubed butter added? With the dry ingredients? Is the butter to be cut into the dry before the wet? Or all together? So sorry! I updated the recipe! I’m not finding the “fixed” recipe. Where is it? Figured out the butter on my own, but I still can’t find the “fixed” recipe. They are delicious First time I used vanilla bean paste, and I love it. So glad you liked them, and darn it did not save my changes. thanks for the heads up! Cannot get vanilla bean paste local. 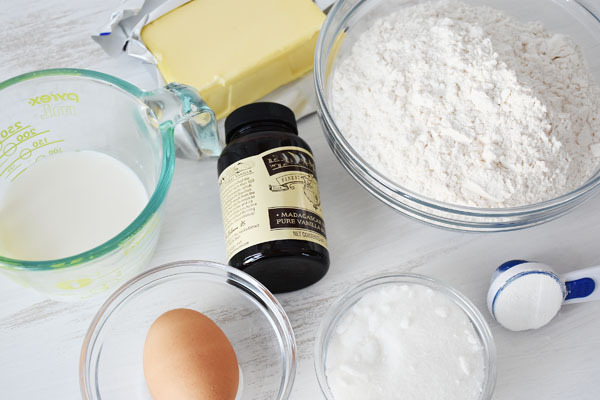 Can I substitute vanilla extract? Yes, that works or almond extract! These were absolutely sensational, and super easy to make! The scone itself is great, but the combination of scone and glaze really elevates it. Thank you! Thank you so much for sharing that! Glad you enjoyed the recipe! In the oven now!! Easy to make, I got 6 1/2 from my recipe. Am I right in assuming that I cool completely before glazing? I’m a pretty novice cook….but think it would all run off if hot. I can’t wait to taste. First time using my vanilla bean paste! Update: Delish!! Thanks for sharing! This is my go-to scone recipe. & they lovely without it, as well. Oh, thank you so much for stopping by! I enjoy them un-glazed too! Tried the recipe and they turned out great! Super easy to follow and yummy! Only thing is I noticed you said to keep some extra sugar to put in top but don’t mention it in the instructions, I went ahead and did it anyway!